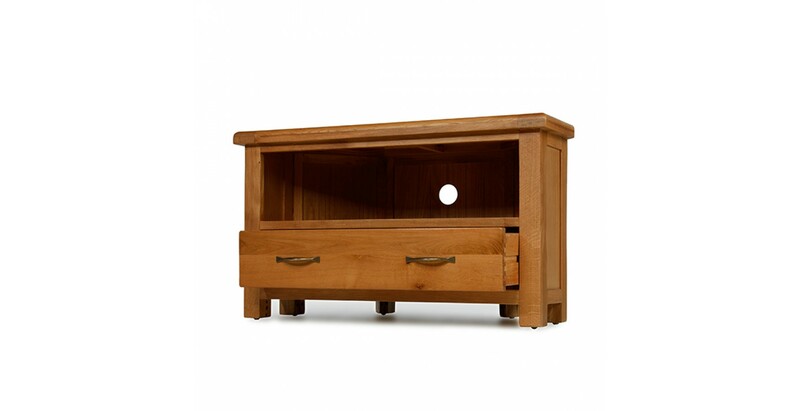 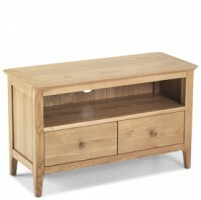 Naturally beautiful, highly practical and designed to fit into a corner to save on floor space – what's not to like? 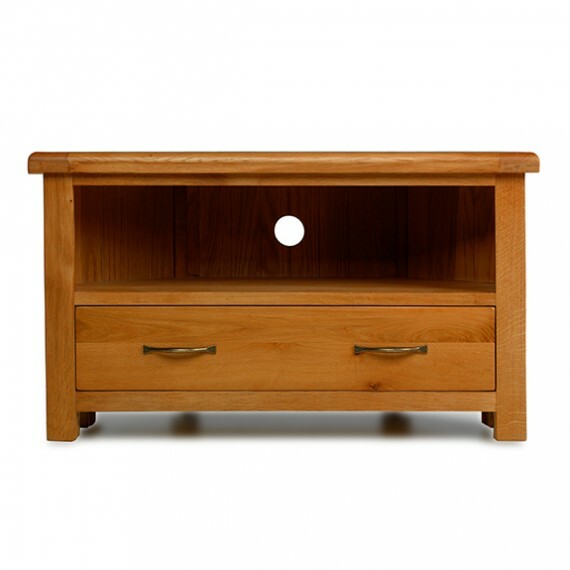 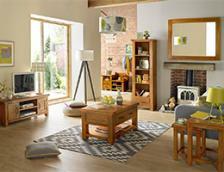 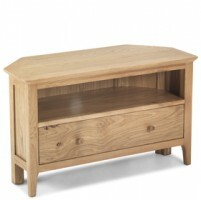 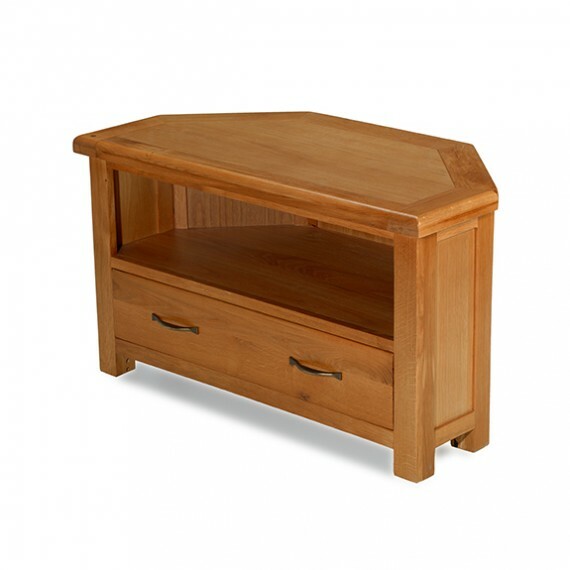 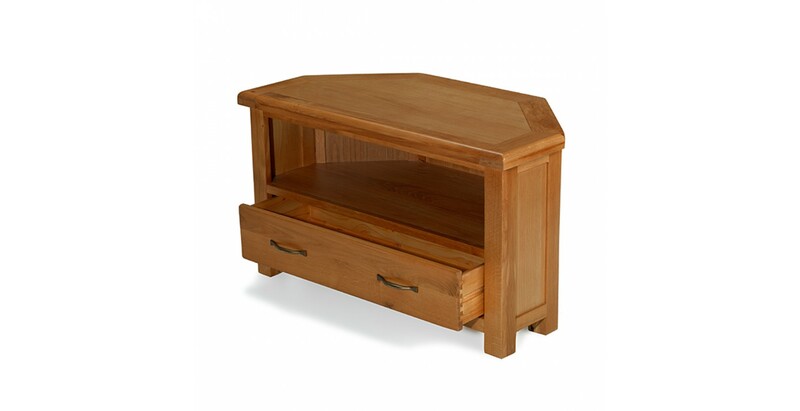 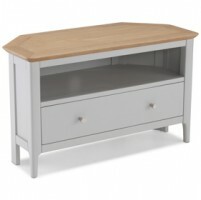 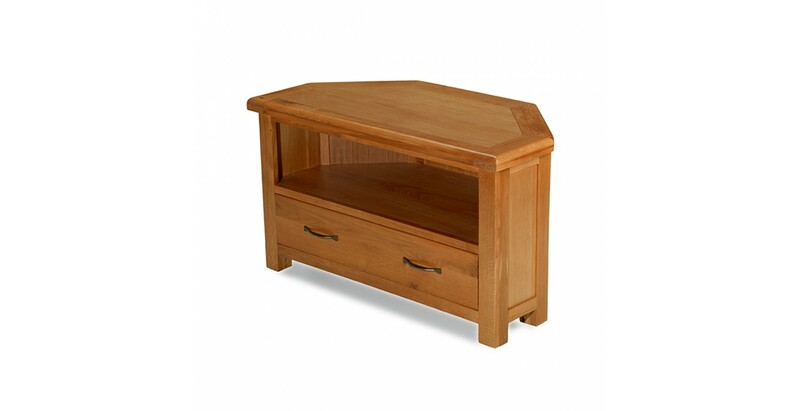 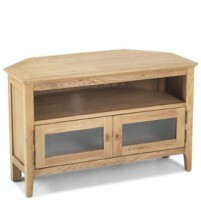 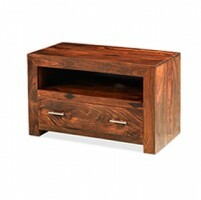 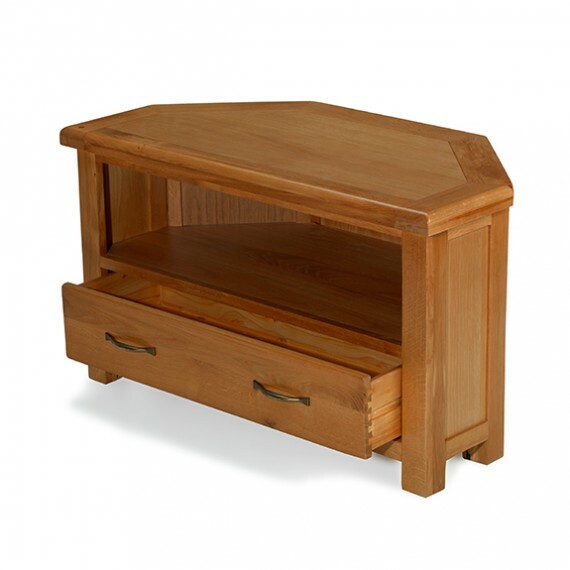 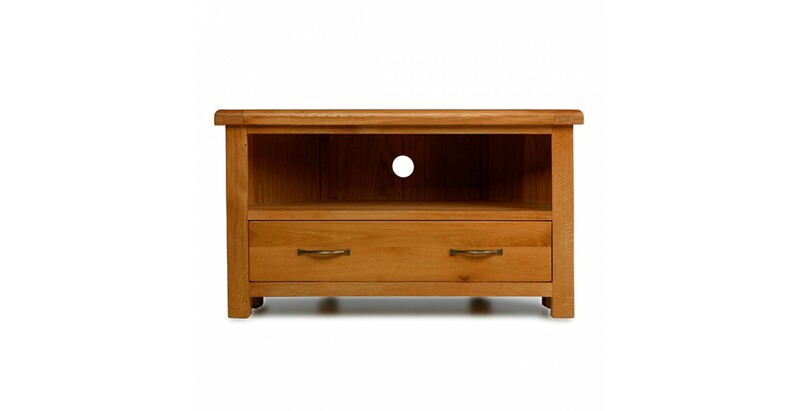 Made to last from oak, its sleek design with chunky top and softened corners will sit well in most backdrops. 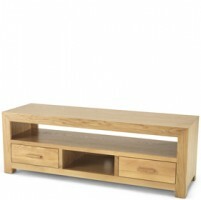 You can fit a pretty big TV on top too and there's a large, open shelf for a DVD player, digital receiver or other media devices. 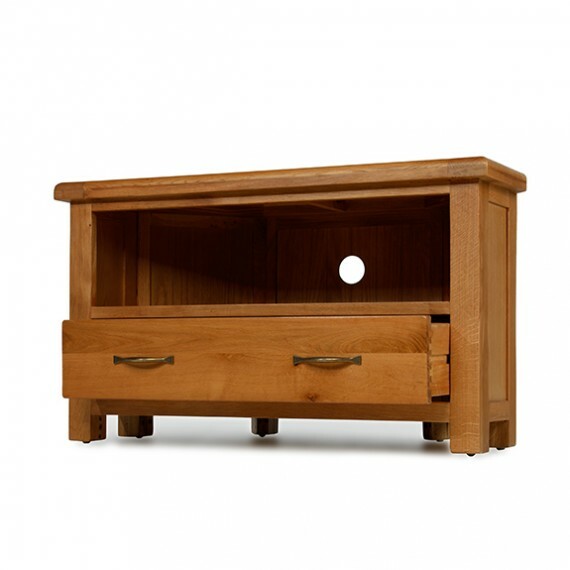 A roomy drawer with smart brass-effect handles will stow away all those spare cables, remotes, controllers and suchlike and the wax lacquer that's been applied keeps the rich, rustic grain looking top-notch.